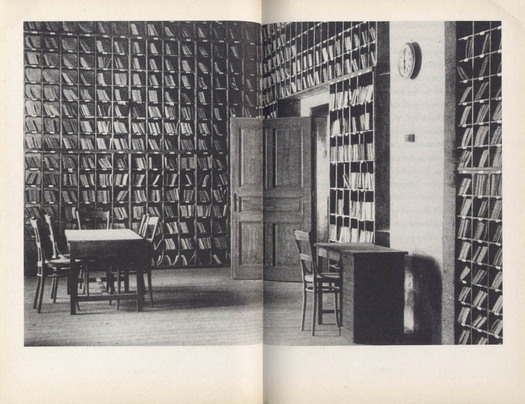 Rick Poynor considers the images of novelist W. G. Sebald @ Design Observer. W.G. Sebald, who died in a car crash in 2001, is one of the greatest European writers of recent years. His books Vertigo (1990), The Emigrants (1993), The Rings of Saturn (1995) and Austerlitz (2001), all first published in German, defy easy categorization. They have been summarized as part hybrid fiction, part memoir and part travelogue, while the adjectives most frequently used to describe their extraordinary prose style, built on long, elegant sentences, are “haunting” and “mesmeric.” These four books affected me more deeply than anything I have read in a long time. I share the view of many Sebald readers that Austerlitz is a masterwork, a book so good that you find yourself constantly rereading passages to savor the luminous intensity with which he evokes people encountered, places visited, things seen and atmospheres recalled. Sebald is brilliantly visual. He makes you realize with some discomfort that you often fail to look attentively enough at what you see. Another novelist referred to the “phenomenal configuration” of the author’s mind and what astonishes and delights in Sebald’s sentences, superbly rendered by his translators, is his ability to convey not just the detail of so many things hitting the senses in a rain of fleeting simultaneous impressions, but the precise emotional shading and personal import of each of these moments. His eye records with photographic accuracy and then these perceptions are recovered from memory and reconstituted as fictional experience with the same exhilaratingly scrupulous fidelity. The complication in Sebald’s writing, which he apparently intended, lies in our uncertainty about how much of what he describes derives from his own experiences (seemingly a lot) and how much of it is largely or entirely imagined. Based on a reading of the books alone, the narrators show every sign of being Sebald himself, but we know from what he has said elsewhere that these melancholy figures are fictionalized versions of the author.